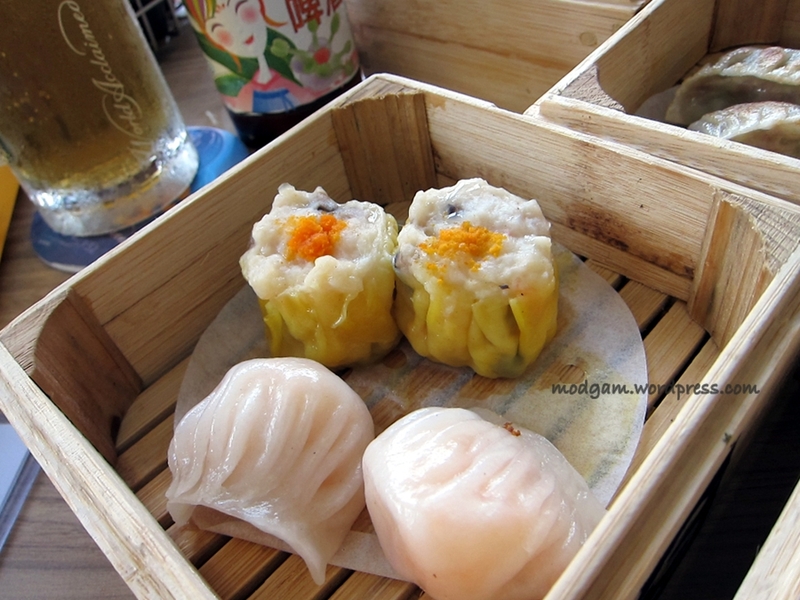 Dim Sum refers to a style of Chinese food prepared as small bite-sized or individual portions of food traditionally served in small steamer baskets or on small plates. 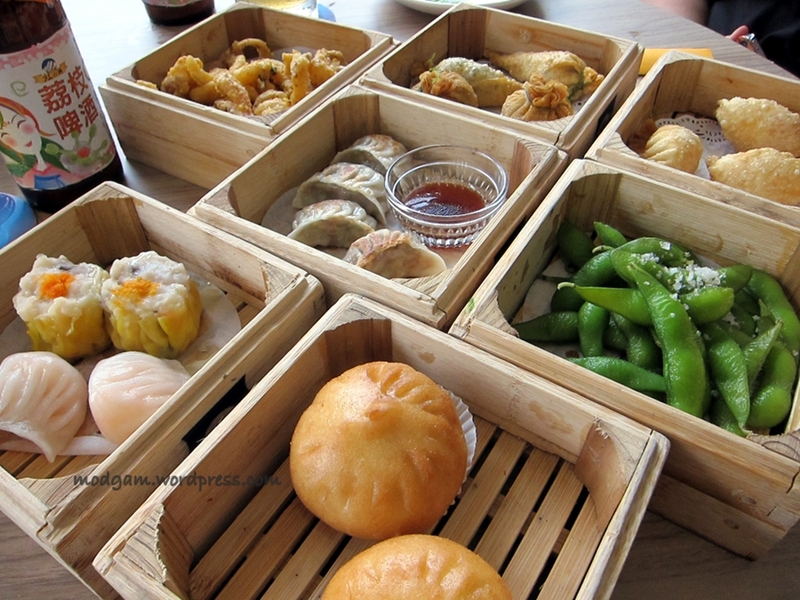 Dim Sum is serve usually from morning until mid-afternoon (around the time of a traditional Western 3:00 coffee break). 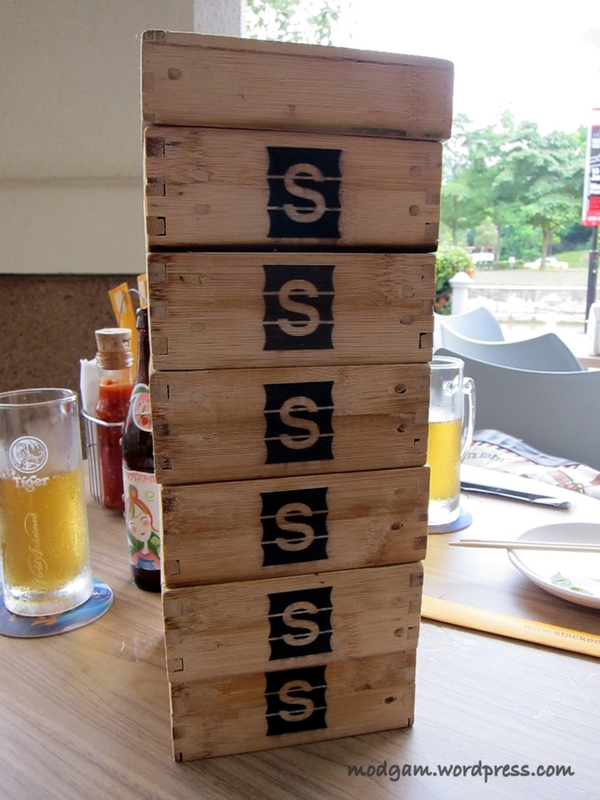 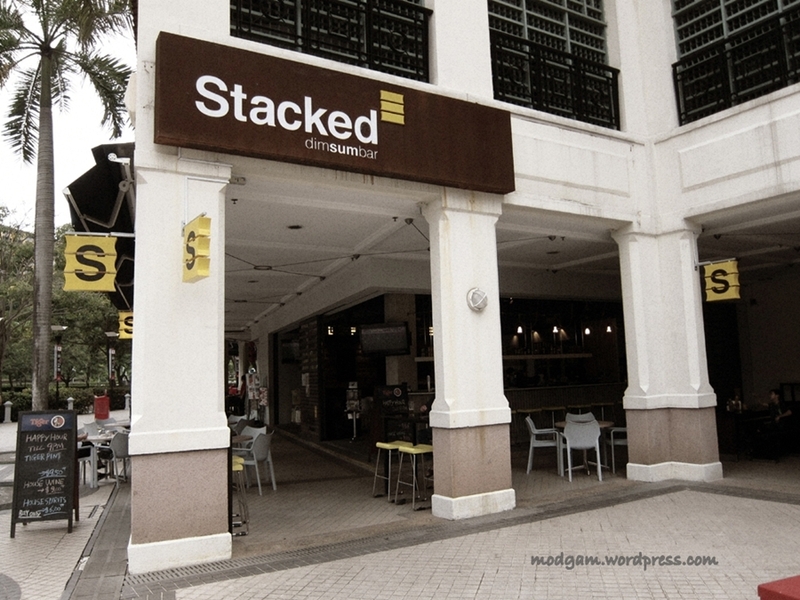 Dim Sum craving late at night no more for at Stacked, you can dim sum all the way till 1am! 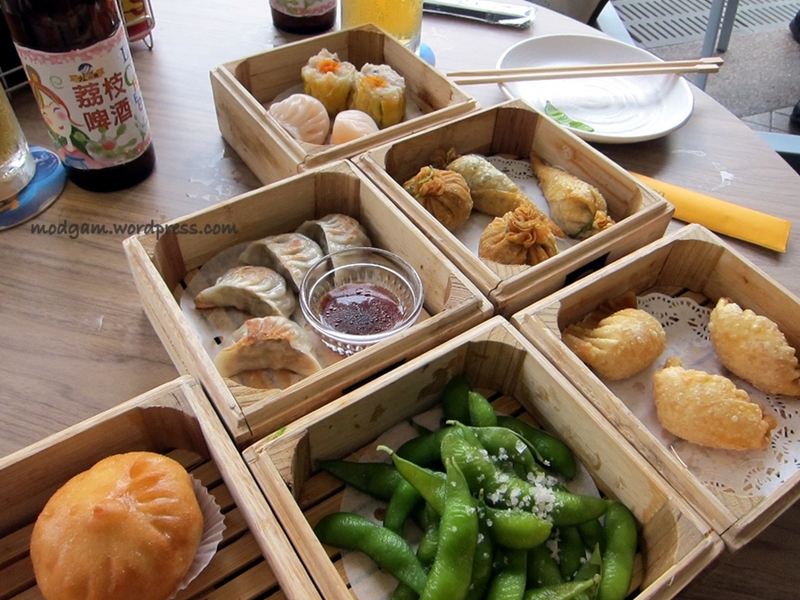 You can enjoy all your favorite traditional dim sum favorites in a modern, fusion twist! 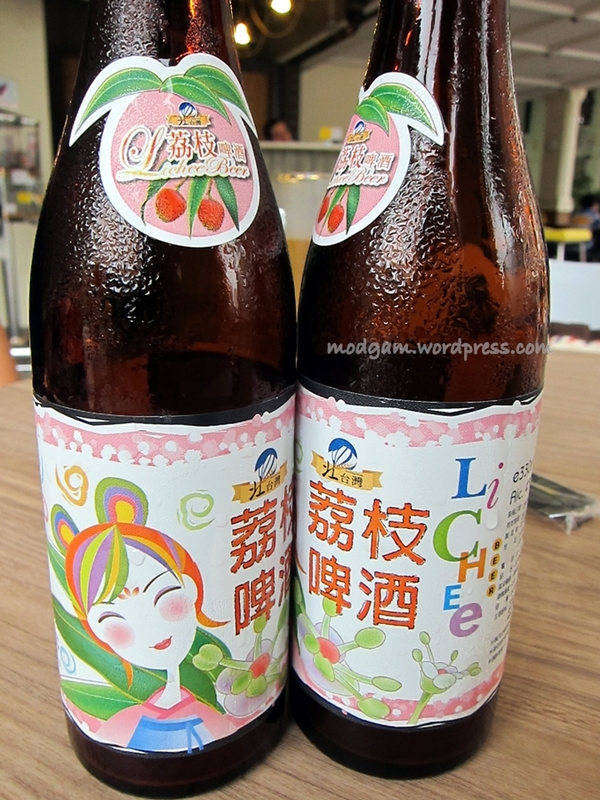 North Taiwan Lychee Beer S$8.00 – Was told this sweet scented fruity beers with just 4% alcohol is a popular choice amongst the ladies and are available in two flavours: honeydew melon and lychee. 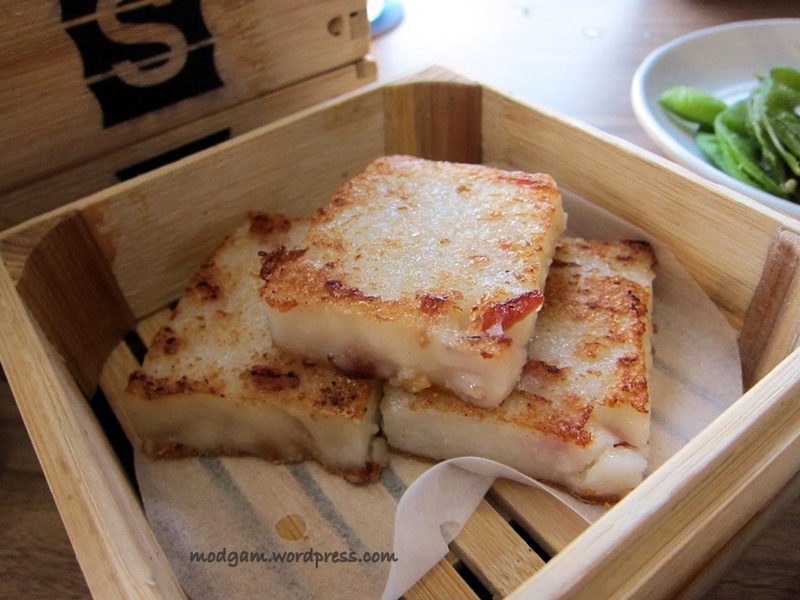 Didn’t know eating dim sum can be this fun! 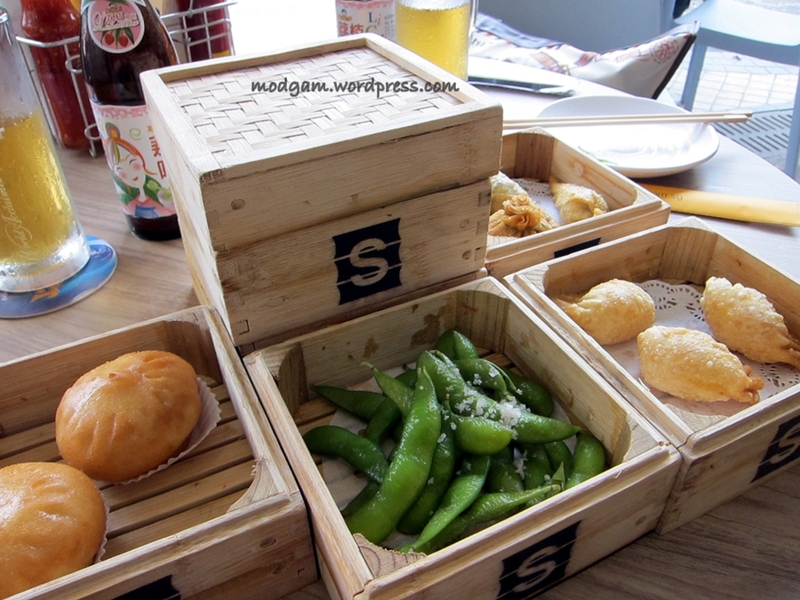 1 Stacked Collection S$29.00 – consisting of 7 different items; 2 Har Kau (Prawn Dumpling), 2 Chili Crab Pau, 2 Cumberland sausage dumplings, 2 thai beef basil dumplings, 1 portion of steamed edamame, 1 portion of mildy spicy salted egg squid. 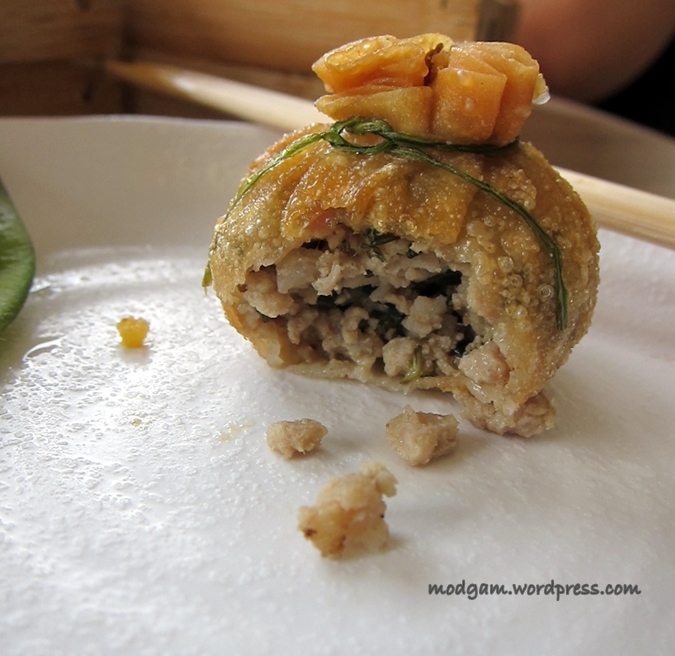 We are complaining about the small portion, which is infact the standard dim sum serving, cos everything tasted soooo good! 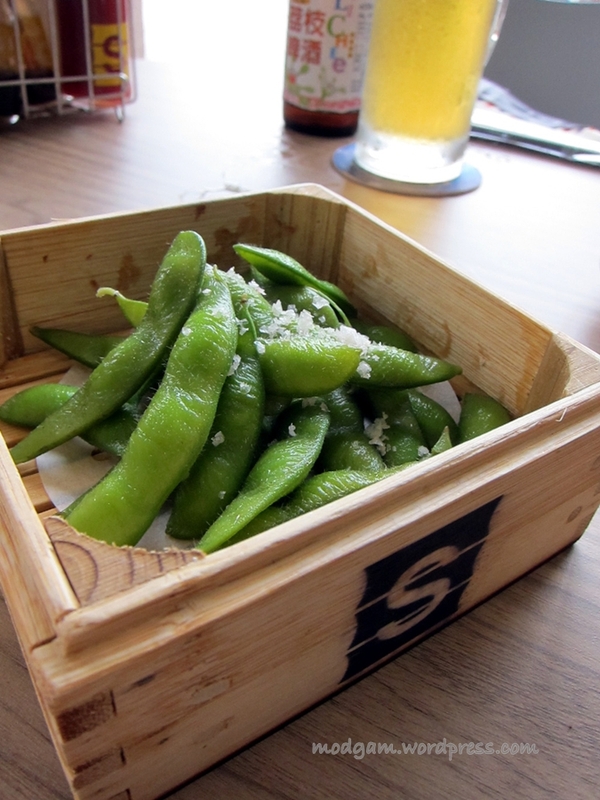 1 portion of steamed edamame – not my favorite as I didn’t know how to appreciate it but friend says its fresh and chewy. 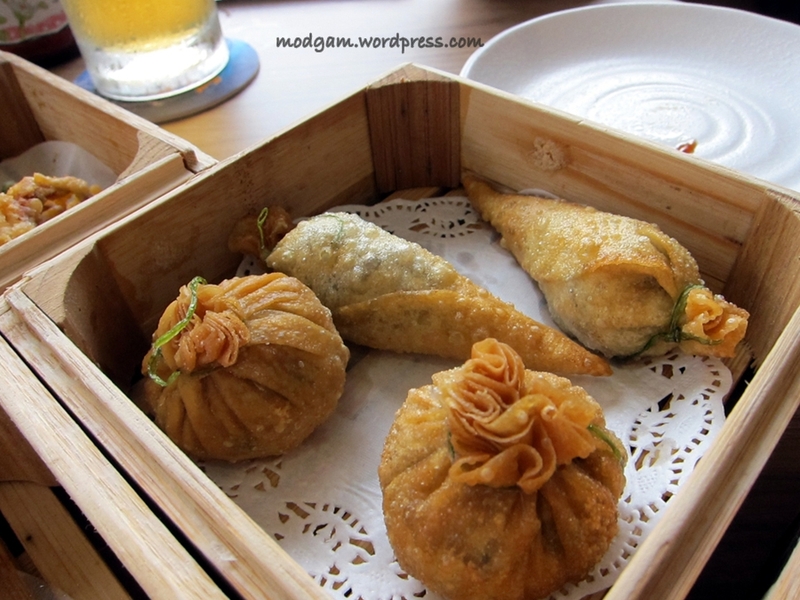 2 thai beef basil dumplings (longer shaped) – tasty! 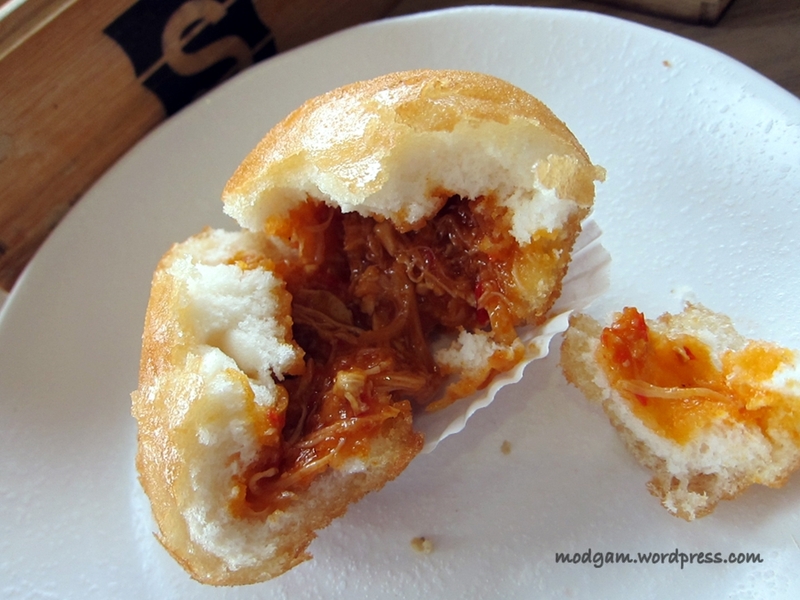 2 Chili Crab Pau – it feels as though we were eating the actual chilli crab! 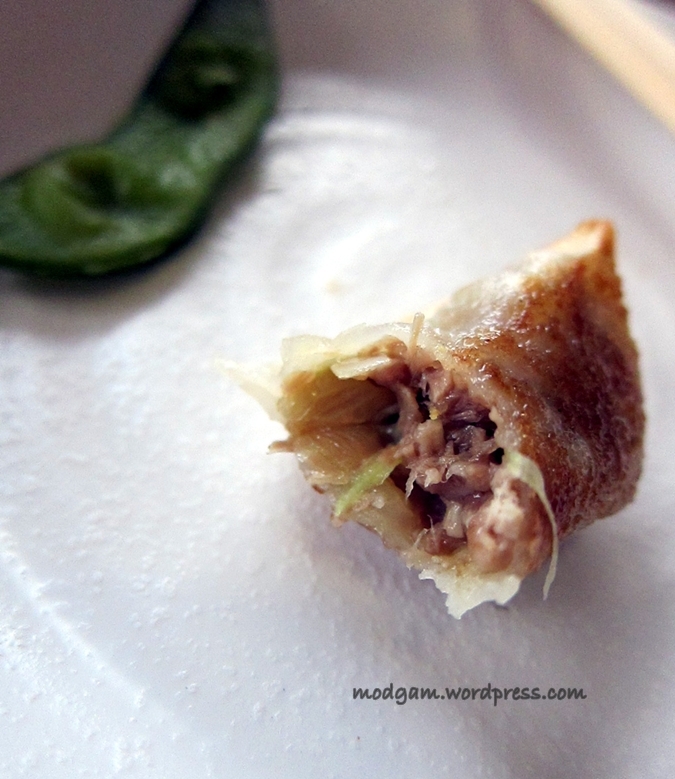 Every mouthful is soooo delicious. 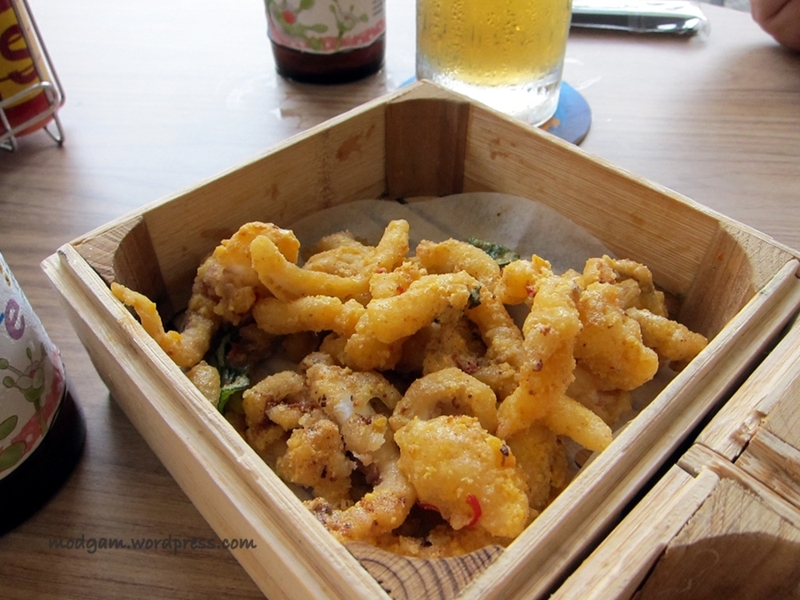 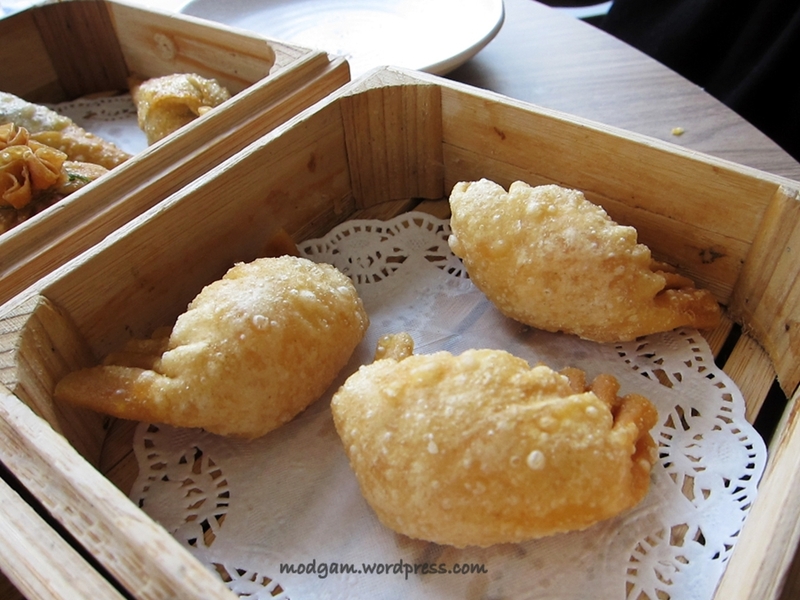 Deep fried prawn dumpling S$5.90 – another favorite! 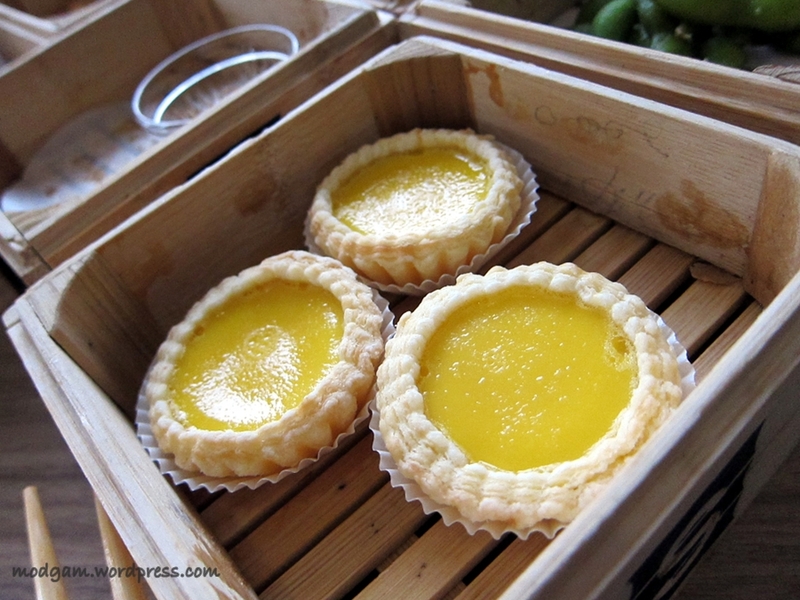 Egg Tart S$5.90 – sweet and soft, just how I like them! 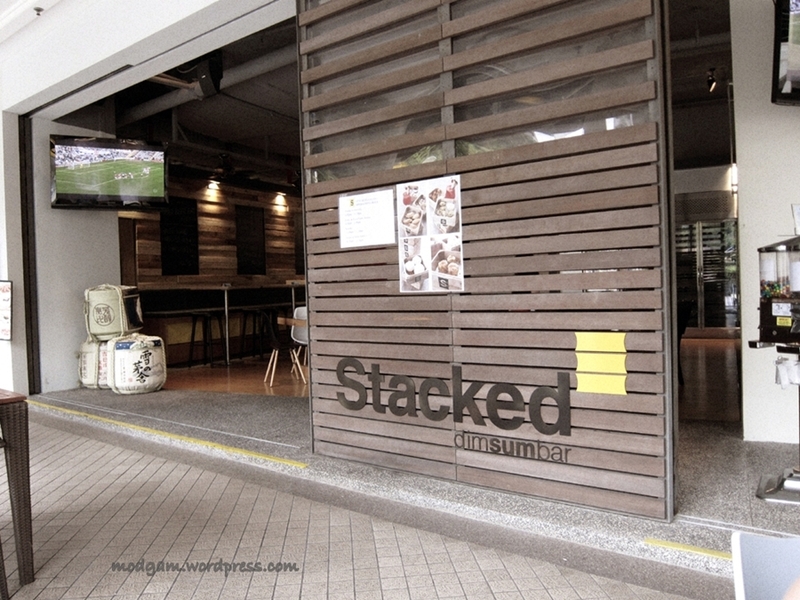 Another favorite! 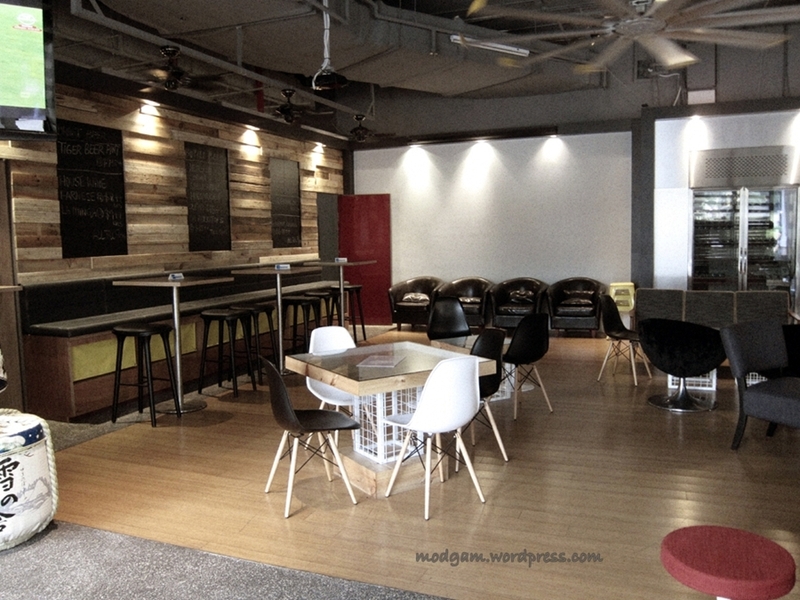 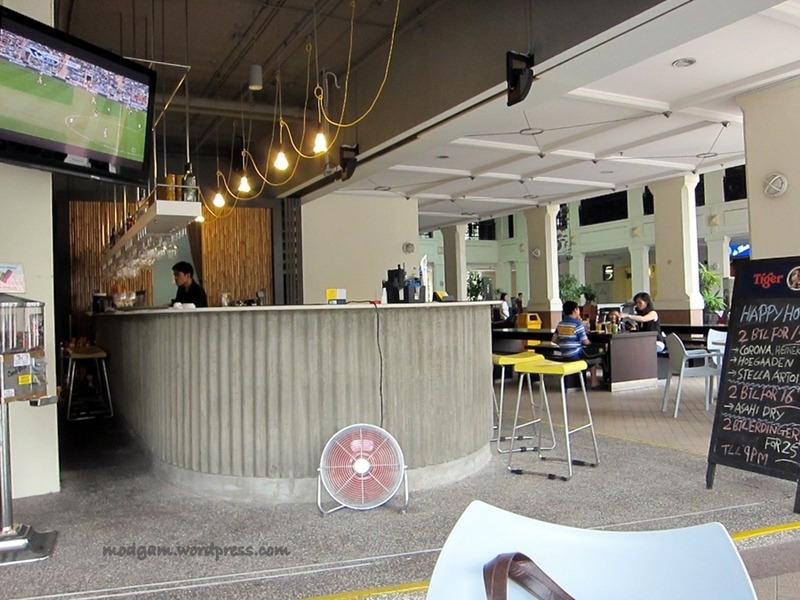 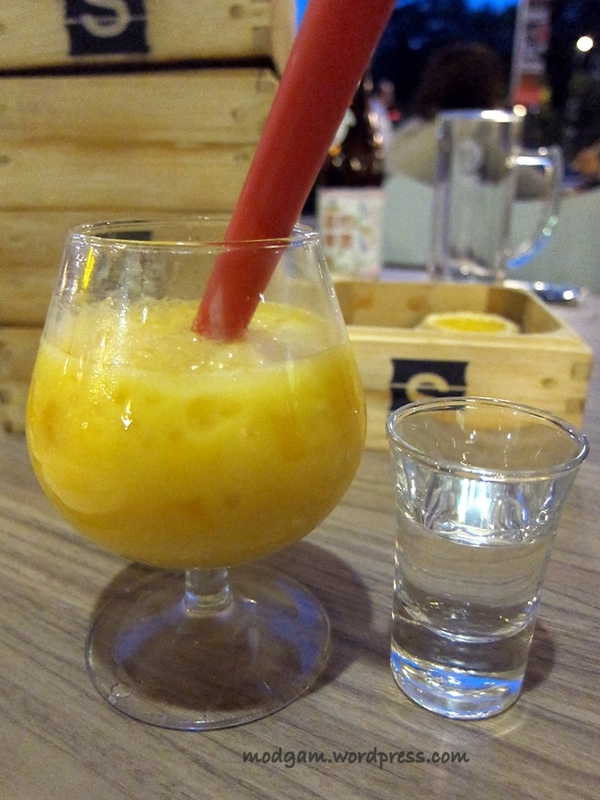 Mango Sago with vodka S$7.90 – Add the vodka in and take it together. 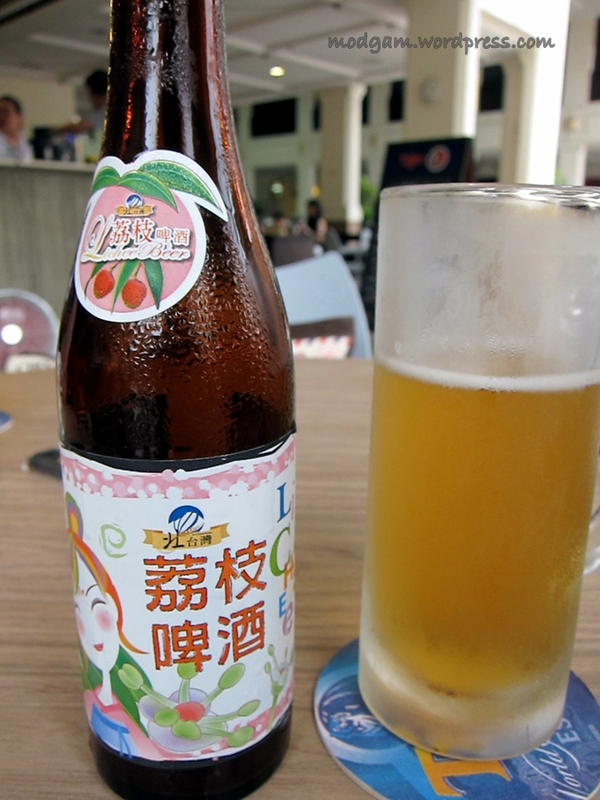 Luckily the sweetness in the mango mixed with the bitter vodka gives a nice twist.